I had been stalking Fighting Illini.com for this week’s game time. Knowing I had to work and the thought of missing another game this season, due to work, may have resulted in my resignation. Rest assured, the game is an afternoon game and I should make it home by kick off. Praise…the…Lord. On high. I’m a hockey-playing, stereotypical, die-hard college football fan through and through. Don’t mess with my game time in any way, shape, or form. Including game time grub, obviously. After I made Wonton Chicken Tacos for Gina and Nick a few months back, I’ve been curious as to what other unique little goodies could be piled into a wonton cup and considered a tasty, low-calorie appetizer. I have Pinterest to thank for this one. 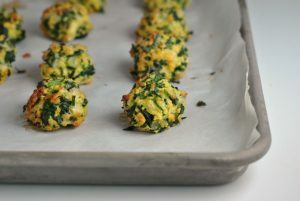 Thanks, P. Bonus for this recipe’s inclusion of mayonnaise and artichoke, two of my favorite foods…all for 44 calories a pop. Should I mention that #44 is my hockey jersey number? Word. Combine all ingredients (except wontons) in a medium bowl. 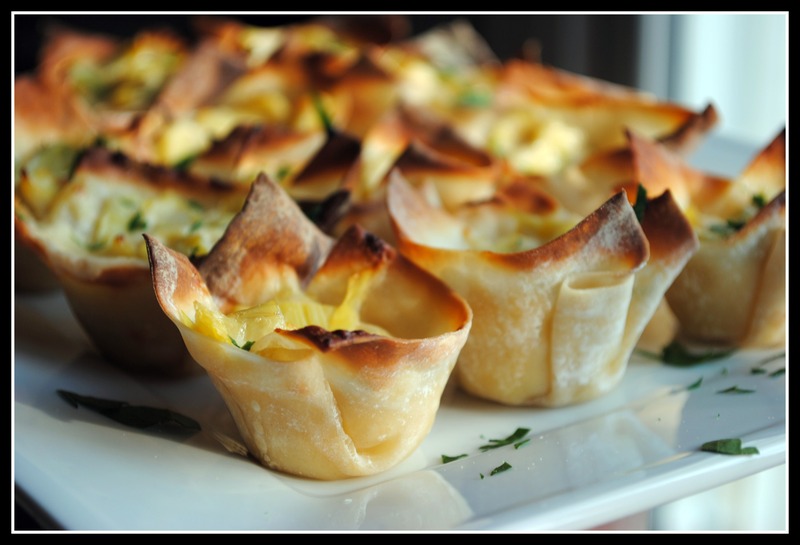 Line a mini muffin tin with wonton wrappers, inserting them gently to take the shape of a small cup. Fill each cup with about 2 teaspoons dip mixture. Bake for 10-15 minutes, until heated through and the wonton tips have browned. Yield: 22 bite-sized appetizers. 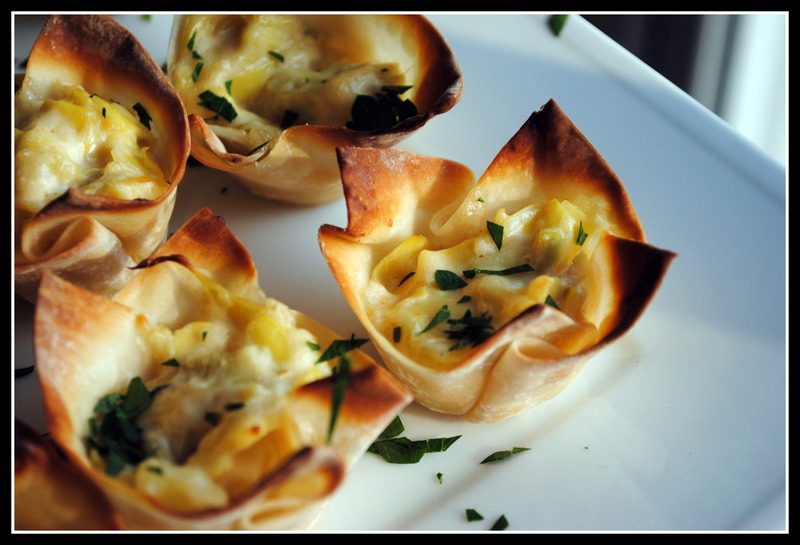 Result: Bite-sized crispy wontons filled with creamy, hot artichoke dip. This appetizer is quick to make, quick to bake, and sure to please a crowd! Enjoy! Mmmm…I love hot artichoke dip! 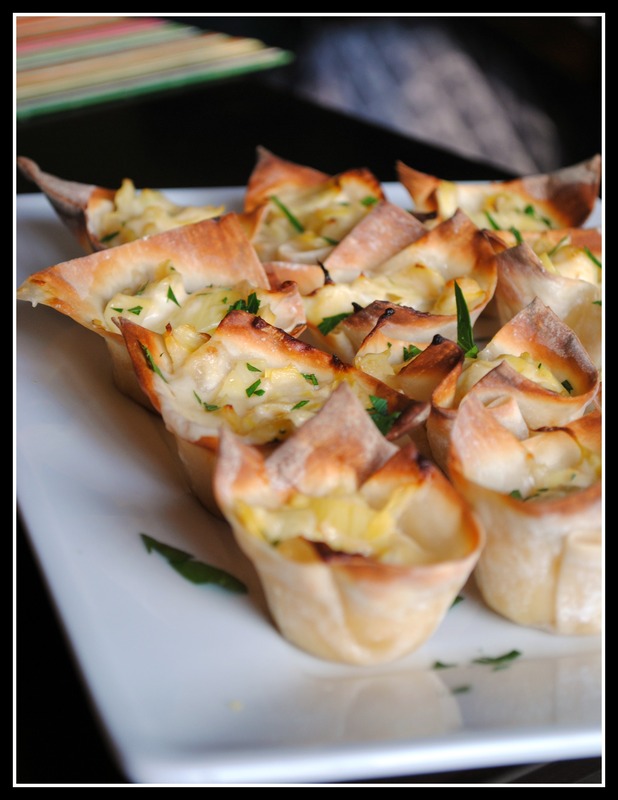 These would be the perfect party appetizer – easy to make and hand-held! This is my kink of recipe. Just printed it and will make it the next time I have friends over. Thanks Nicole! Um, I meant my kind of recipe! I’ll be honest, I only watch football for the food. And when it’s as tasty as this, who can really blame me! 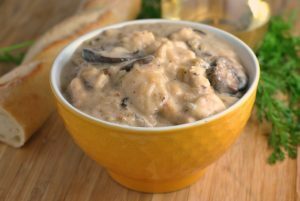 Artichoke dip is a favorite of mine but it’s really a killer when it comes to calories…this sounds like the perfect way to indulge in a controlled kind of way! These are adorable! I am the same way about football, I am slightly obsessed. I am hoping my teams goes undefeated this year…it’s been a great year so far. Don’t you just love pinterest!!! These look amazing! Anything “mini” is just perfect for appetizers. They look amazing! I am going to have a little get together soon..may just have to make these! Even though you are a Illini fan I am totally with you. Love these dip cups and I HATE when things get in the way of game day! I know I’ve said this many times, but this may be the best idea I’ve ever heard. I love wonton wrappers. So versatile! These are adorable but look so good I’d probably eat a dozen without even realizing! Ahh, the perfect way to enjoy artichoke dip – so cute! where do you find wonton wrappers?